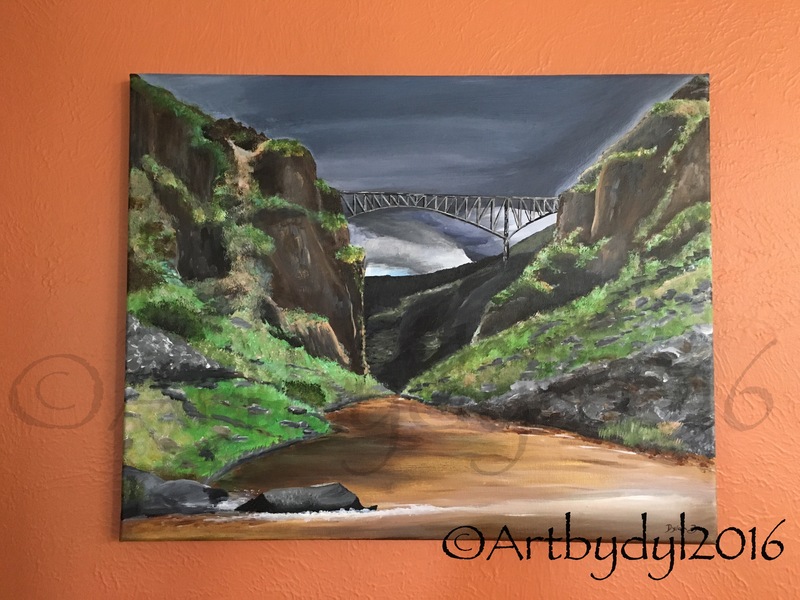 This entry was posted in Amazing Talent and tagged bridge, Gorge, New Mexico, rocks, Taos, water. Bookmark the permalink. I love that you paint such a lovely variety of subjects. You are certainly growing artistically.